After some weeks dealing with other matters, I’m back with our site. So many things have happened in the new year. The main event: Fiat completed Chrysler acquisition. Finally, after 4 years dealing with Chrysler problems and hard negotiations with labor unions, Sergio Marchionne announced that Fiat finally owns 100% of Chrysler shares. His first goal was achieved with a very positive impact for both companies: they have a safer short and mid-term future, but there’s a lot to do. The details of the deal are well-known by everyone now while we are all waiting for the final decision on the Headquarters location the name of the new company. The marriage Fiat-Chrysler wasn’t the only recent important news in the automotive world. While Marchionne announced that Chrysler, Dodge and Jeep are now wholly owned subsidiaries of the Italian carmaker, the Peugeot-Citroën PSA board approved cash injection by the Chinese automaker, Dongfeng, and the French government in a move looking to save the company from bankruptcy. Two big events that must be carefully analyzed, specially considering the reaction of common people. 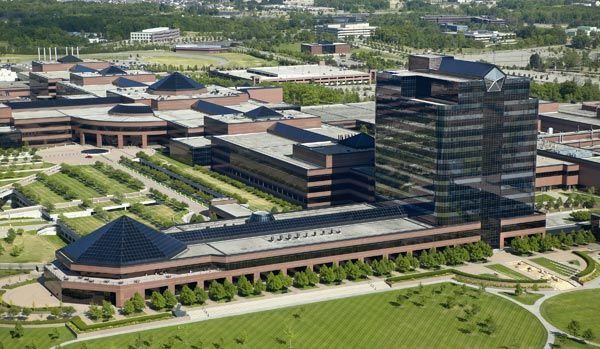 Auburn Hills, where Chrysler HQ are located, is now another part of Fiat group. I must say that I was really happy when I saw the news confirming the final acquisition of Chrysler. Fiat needed this alliance which can be the first step for ensuring its future in the coming 3 years. The last 2 years have been particularly hard for the Italian car maker, and things seemed to get worse with the recent results in Brazil. Chrysler good results were the best hope Fiat had as an independent car manufacturer. It was Marchionne’s first goal and it was the reason why so many projects were blocked in Turin. For sure it is not enough to survive in the long-term future, just as the CEO said. The merge allows Fiat and Chrysler to gain some positions in the ranking by production capacities, but the new group is still very far from the industry leaders: Toyota, GM and VW. If the new-born car group wants to survive it must rise its production/sales levels up to 6 million units in the next 3 years, or it must find another partner, hopefully Asian. Fiat-Chrysler plays an important role in North America (world’s second largest car market) and South America. The position in Europe isn’t that relevant. That’s why it must enlarge its operations in Asia as soon as possible. That should be Marchionne’s second goal. 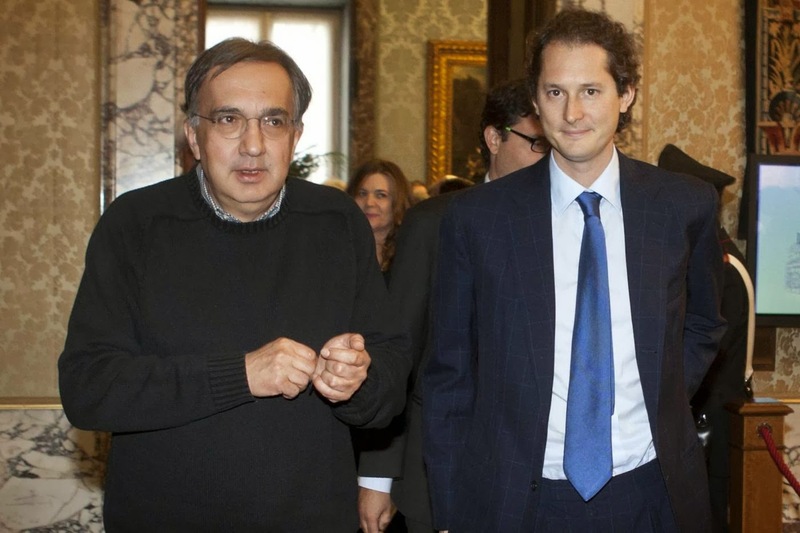 Right after the official announcement of the final acquisition, John Elkann, Fiat’s chairman, said that Marchionne would continue as the group CEO at least till 2017. Good news. Despite the excellent news coming from Florida (where the deal was closed), the reaction in Italy wasn’t that good. Shares value jumped 16% the day after the announcement, but common Italians were skeptic and critical about the agreement. This is based on the comments made by Italians in the web. Many people complained about the fact that Fiat was using government’s money to buy a foreign company and then move the HQ and production. Many others considered that Fiat wasn’t Italian anymore, while others said that the agreement was only good for the stakeholders but not for the Italian employees. Nonsense! the deal with VEBA means that Fiat is finally a global player! 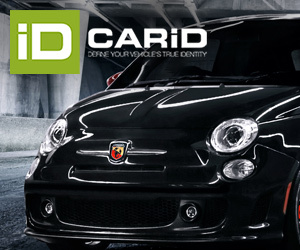 it means that it is no longer dependent on the troubled Italian car market. It means that the new group includes strong and global brands such as Jeep (the world’s largest SUV-maker). A lot of research and development savings will come. Common technologies and expertise. And the best of all: the mix of 2 cultures that enjoy making cars. One of the last moves of Phillipe Varin, PSA CEO, was to agree with Chinese on their contribution as new stakeholders. He will be replaced by Carlos Tavares, a former Renault executive. In the other hand there is PSA with its serious financial problems. The French auto maker, Europe’s second largest, keeps struggling to survive as it is still strongly dependent on European car market. The strategy of launching new cars in a market that is completely flat means more loses and problems with its factories. The nice DS range and the interesting 208/2008 haven’t been able to stop the cash burning problem. The situation of PSA is quite complicated now. That’s why, in a historical decision, the company’s board approved an outline deal to raise 3 billion euros by selling stakes in the automaker to China’s Dongfeng and the French government. It means that the Peugeot family won’t have the control of the company anymore as each part will control 14% of the shares. As it is, it seems that the agreement is a desperate solution for a serious problem. It seems that the Peugeot family didn’t have any choice and the company is now partly owned by a foreign company. And for sure, it won’t be the last 14% stake Dongfeng will buy. My point is that 2 traditional European carmakers experienced big changes but from 2 different points of view. While many Italians complain about the recent moves of Marchionne, they don’t realize of the enormous achievement Fiat had as an independent automaker. They were able to anticipate current European car industry crisis, and go to Detroit to rescue Chrysler knowing the big risk it would represent for Fiat. Marchionne and his team bought a bankrupted company and rebuilt it from zero. It wasn’t a foreign company buying an Italian one. No, Italians made it by their own, with hard work and courage. Thanks to that, Fiat is now the world’s seventh largest carmaker and can save its independence at least for the next 5 years. PSA, with all its big range of nice cars and its relatively strong position in European market, is no longer autonomous on its decisions. Chinese came and bought a part of Peugeot. Fiat went to America and bought all Chrysler in an integration process that will benefit both parties. The future? to have a Chinese partner is not a bad thing: PSA has now more chances in China and a lot of money can come to develop more cars. And that’s Fiat’s main challenge: to grow in China by itself. Time will tell us. Keep going ! nice article ! Please,When you can write an artickle about Lancia ??? Fiat already controlled Chrysler with > than 60%. So better investing in Peugeot group reaching 7 millions cars sold each year. 60% wasn’t enough to consolidate both groups. Now they did the right thing, while Peugeot will become the next Volvo, totaly owned by Chinese. Hyunday controls Kia with only the 33% of the shares. Renault does the same with Nissan with the 43% of the capital. So, where was the problem? Could you please tell me where did you see that Hyundai controls 33% of Kia? as far as I know, both brands make part of the same group, Hyundai Motor Company and they’re fully integrated. The case of Renault and Nissan is different as they have a collaboration agreement (it’s more a merge). Is better to control 100% than 60%, don’t you think? 33.8% … once upon time it was over 50%, but it’s now much less than that. @DeWitte, Fiat did control Chrysler already — but at below 60%, it did not get access to Chrysler’s cash flow. And as you know, Fiat really does need that. PSA will, one way or another, be swallowed by Dongfeng, there’s no doubt about that. PSA is the next Volvo, only a lot bigger. It would be better if PSA become the new Chrysler inside FCA Group. Lancia can become an exclusive brand, with 3 niche models for enthusiasts., example , fulvia, remake of old delta and y. @Pasquale, they would need big investments to make Lancia successful again. But I’m sure Lancia’s future is far behind addressing the needs of the Fiat and Alfa Romeo brands first, both of them are also starved for new product. @thisy, I disagree with you, because the model Y already exists, the Fulvia could arrives in collaboration with the Duet Mazda, and the Delta would be a winning move, thinking that Bravo will be deleted. Certainly not talking about chips, but of money, something needs to be invested. Juan , everything rightly said and I had been thinking all these for the past some days and wondering where have you gone when a historical event is happening for FIAT ! To me ,Fiat&Chrysler CEO is taking the best steps for the survival and growth of the brands. It is always easy to sit and blame blah blah about someone who is putting his hardwork to the core at this age but it is tough to sit in his ever hot chair for most people. Any guess about the headquarters and new name for the brand? Hey Bharath. I’m back. I can’t always write but I know there are plenty of issues to talk about. I agree with you: Marchionne’s commitment and hard work is perhaps one of the best assets of the new group. GIVE AT THIS BRAND ANOTHER CHANCHE! Those are just dream ideas. Cars, as any other industry, are manufactured to make profits. Granata’s Delta wouldn’t be profitable at all: only passionates would buy it. The only thing worth saving with Lancia is its name, and perhaps its dealer body. The name and memories can remain buroed in a hyphenared Brand name Chrysler-Lancia. It can join companies like Benz Martin etc as the second name of a consolidated brand. It will also end the complaints that Chryslers are not Lancias. There simply isn’t any money to design new exclusive Lancias. It will be hard enough just designing a line of new Alfa Romeos, if the funds will stretch that far and renovate Fiat. is there any chance to Relaunch Lancia again ?? very glad you are back and are writing as sharply as ever. well done. meanwhile FCA has been announced, sounds ok.
so now we have CNH and FCA and lawyers can get on cleaning up the paperwork. time to press the right buttons and lets start with Alfa Romeo and if all goes well, in a few years time we might even do something with Lancia again, but you can not expect to do everything at the same time. one thing at a time and do it well. no anass it is not a dutch company. it is what lawyers do. if today it is more interesting to put your papers in amsterdam, than that is what you do. if the law changes in holland and it is NOT interesting for you to stay there, you take your papers and take them to brussels, because now belgium is better. a fiat 500 will still have a fiat logo on it and 500 written on the back of the car. same for alfa romeo mito and any other car. if you would hear that they pay people in napoli 500 euro per month for doing nothing, you would register with your old aunt on her address and collect your 500 euro. while you keep on living in roma because that is is where your warm bed with girlfriend is. tricks with papers, to get the maximum benefit. so FCA drop there paper in a lawyer office amsterdam, than they go to london and drop other paper in the tax office in london because the tax is very low there. next you take your company shares to milano and new york and try to sell them in those 2 places because that is more interesting than amsterdam or london. it is called global business. welcome to the day of today. Welcome to the real world. If Italy doesn’t change things will get even worse. is Fiat Group from now will be a Dutch Company ? i mean is Fiat now loses its Italiense .?.?? i put some comments up using gravatar wordpress, it says “must be moderated”, but they have disappeared. still, good to see that you are back and writing as sharply as always. well done. It’ìs not is to change for Italy with a > 130% national debt and > 70 billions € to pay each year only for interests. Felipe, regarding PSA, it’s not a done deal quite yet. It was approved by the board, but it also needs shareholder approval — and part of the Peugeot family opposes the deal. Is the headquarters of Fiat auto and Lancia, Alfa romeo they still in Italy or they move to Netherlands ?? i mean is only the new Fiat chrysler automobiles is in Netherlands ?? Please answer !!! ” Relocating to the Netherlands could let Fiat enjoy more relaxed requirements for board activities than elsewhere. Annual meetings are allowed to happen outside Dutch boundaries and written resolutions can be adopted without a meeting. There are no requirements for corporate governance, compensation or audit committees. anass is just a legal thing, doesn’t change anything, fiat is still (an hopefully will be) italian, the italian cars are developed in italy, that’s it. it’s just because there’s a better legal system in netherland than in italy (and it also should be related to taxes). for exaple: the agnelli/elkann family control fiat via an holding called Exor, which is a luxembourg company, it doesn’t mean that they’re not italian anymore! Yes, CHN Industrial is a sister company of FCA, both of all controlled by Elkann/Agnelli family’s Exor. As Lancia owner I’m deeply sad about latest news. Can understand Fiat situation and focus on Maserati, Alfa + US brands. Then Lancia should be kept in minimum form till better times. And minimum is Ypsilon in some European countries sold via Fiat dealership. Ypsilon limited to Italian market is something I can’t understand and accept. France, Spain, Portugal, Belgium, Greece, Slovenia, Turkey, Austria, Switzerland and Poland. Lancia Ypsilon should be sold in all these countries just to survive as brand till after-Marchionne era. Is Holland & Britain, Italy’s version of Caymen Island’s. Poor England, I can’t beleive their stupid queen is on canada’s money. As for Fiat moving out of Italy, and leaving behind the most innovative engineering base in history, it’s never going to happen. Volkswagen would just walk in. As for trying to force Italy to become a sissy liberal country, like canada or germany or what ever. God save us. Don’t change Italy. We need you! Frank, Be frank with us, why is the Queen of poor England stupid? are the upcoming Fiat chrysler automobiles cars comes with NL car plates or IT car plates ?? also what about the HQ in Italy they close ?? ?